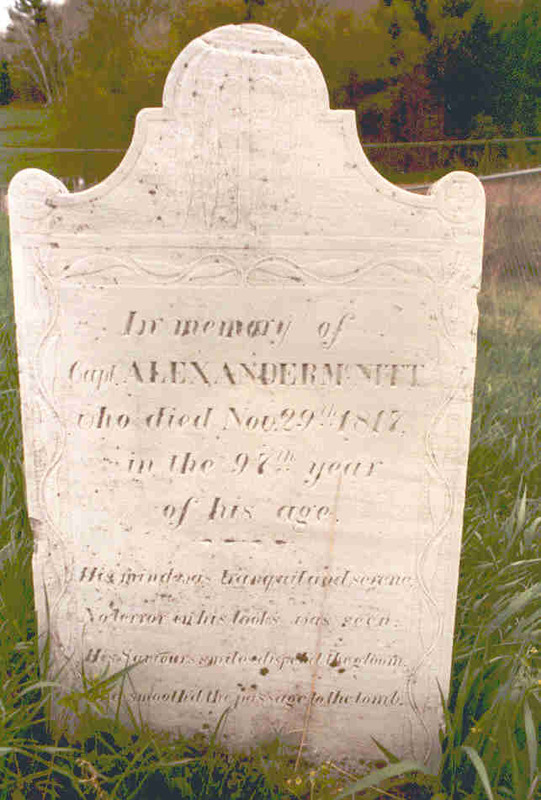 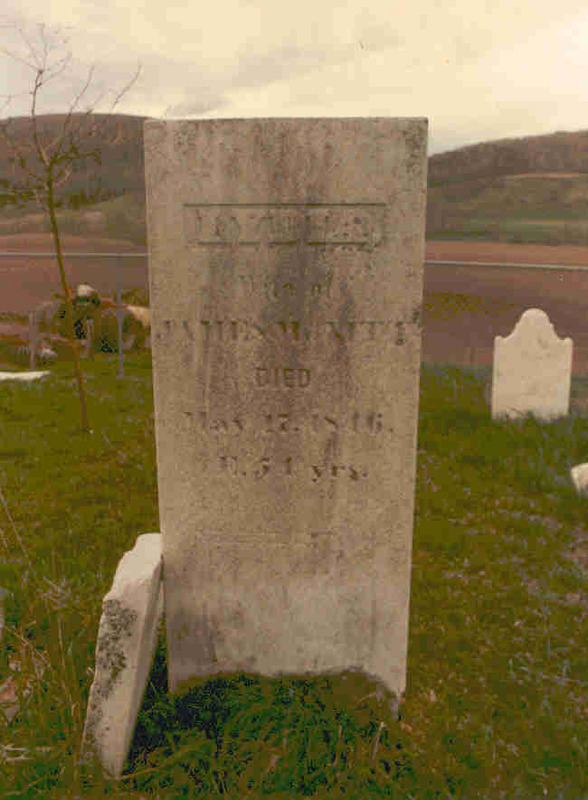 Alexander McNitt moved his family from Massachusetts to a farm near Salem, NY in 1769. 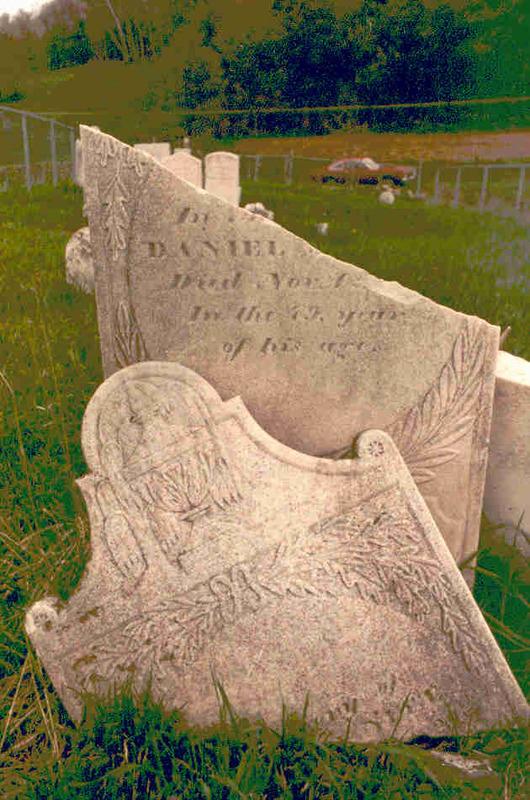 The farm was on the Salem-West Hebron Road (route 30), about five miles west of Salem on the left side of the road. 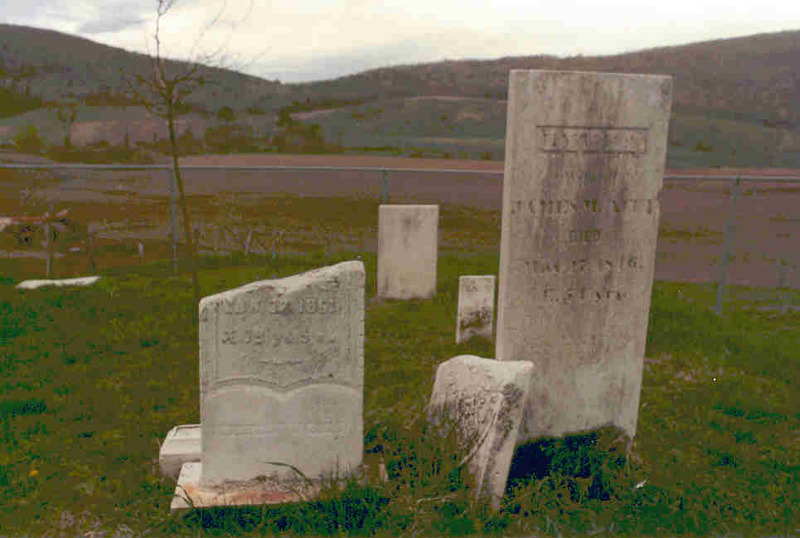 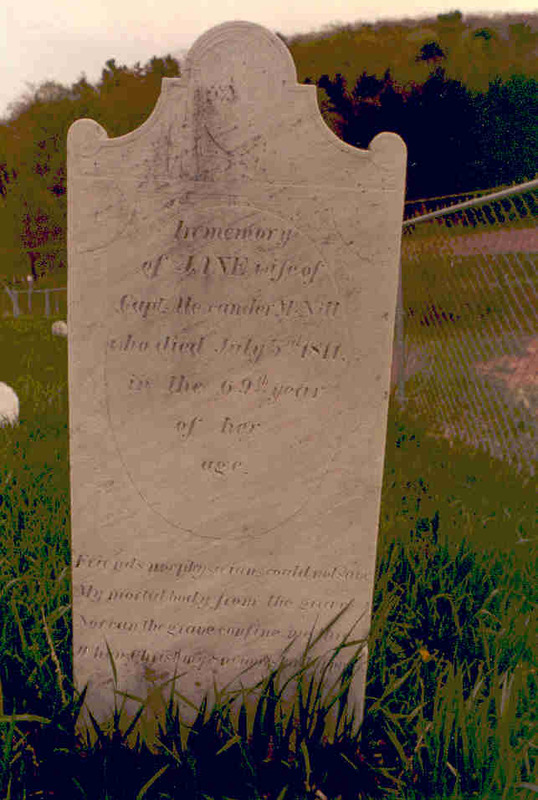 Alexander, his two wives, his son Daniel and grandson James and their wives are all buried in a small cemetery on the farm (now known as the McEachron farm). 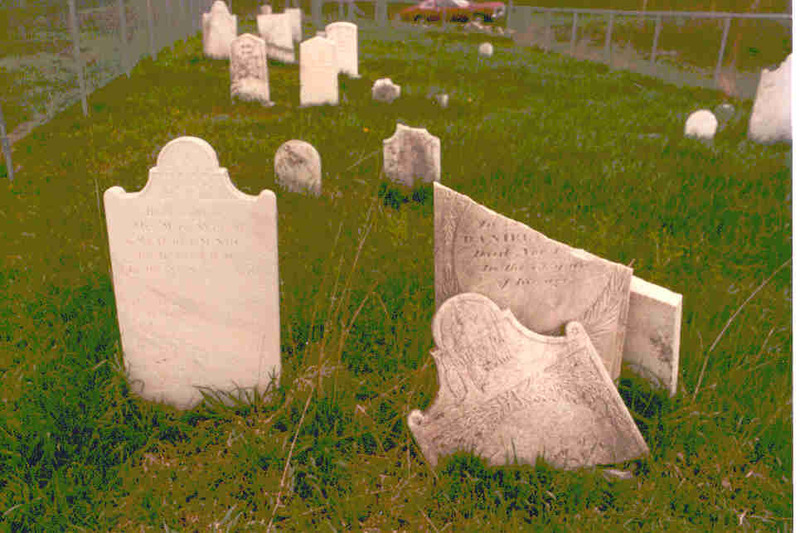 The cemetery is well off the road and has a four foot high fence around it. 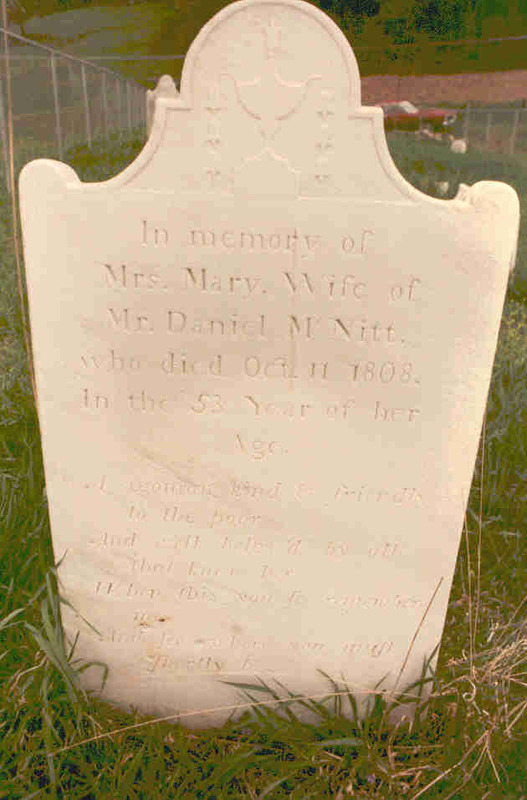 The house on this farm was built by James McNitt in 1823/24. 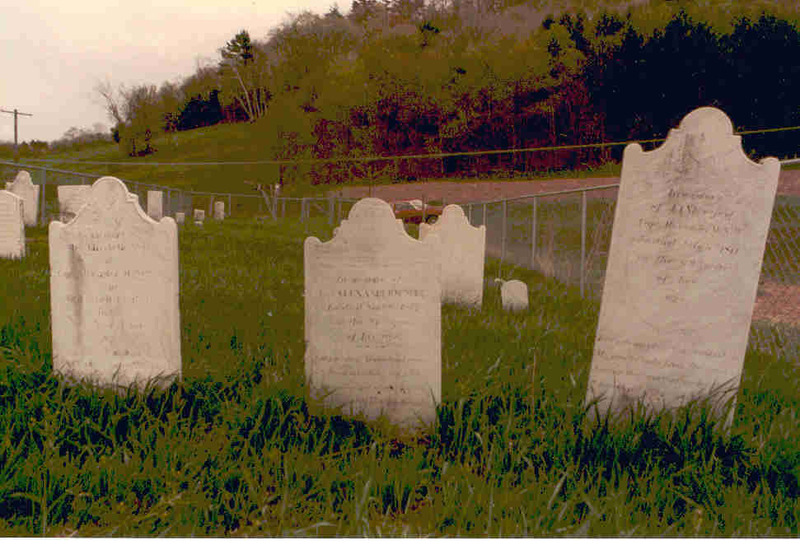 These photographs of some of the family gravestones were taken during a visit in May 1978. 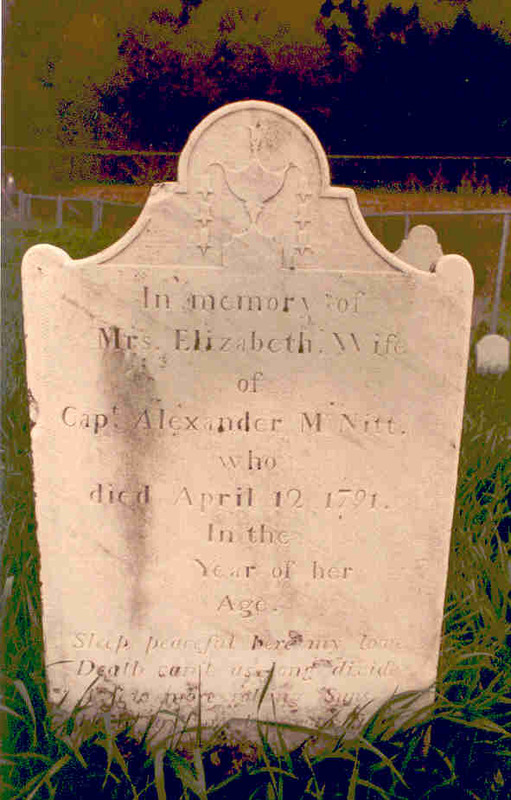 By clicking on the small images below, you can see larger versions of the photographs.